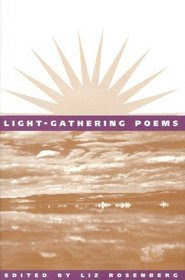 Beautiful selections from Dickinson, Frost, Rumi, Hughes, and other well-known (and some lesser-known) poets are compiled to extract thoughts of love, family, hope, nature from one's mind. I enjoyed Rosenberg's anthology and also the way that the poems were organized in the book. As with poetry, you don't have to read them in order but when you can they can create a unique feel that is present as a compilation all on their own. Shelley's great line, "If Winter comes, can Spring be far behind? " Other poets featured included Langston Hughes, Jane Kenyon, Rainer Maria Rilke, Christina Rossetti, Rumi, and Ruth Stone.